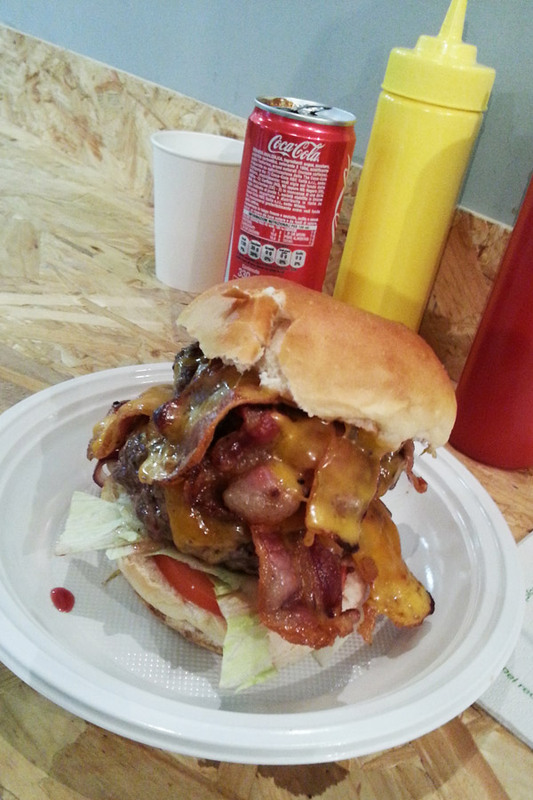 Il burger migliore di Milano è da Burbee. La prima cosa che ti farà impressione è il pane dell'hamburger: è fresco, leggermente dolce e ha un bel profumo. La carne nel mio Bacon Cheese era di altissima qualità ed era cotta perfettamente, cioè di cottura media. Il formaggio cheddar si è sciolto meravigliosamente sul bacon croccante e gustoso. Da non perdere le patate al forno e le buonissime birre artigianali del Prato Rosso. Per un burger ancora più saporito, provato il burger Hell che ha la stessa base del Bacon Cheese ma ha in aggiunta cipolla e peperoncini jalapeno piccanti. Se siete coraggiosi, provate il double double double (il Bacon cheese con gli ingredienti raddoppiati). Da settembre 2015, c'è una novità importante al Burbee. Un dehors! Grande Gino! Alcune foto da Toney Teddy Fernandez. You can't go wrong the burgers at Al Mercato, Trussardi, 202 or Ham Holy, but if you want the best, look no further than Burbee. I suggest starting with the classicBacon Cheese burger. The first thing that will impress you is the bread, which is incredibly fresh and fragrant with an ever so slight sweetness to it. The angus beef is of excellent quality and cooked perfectly medium rare (unless you specify otherwise). The cheddar melts beautifully on the tasty bacon and together with the iceburg lettuce, will surely convince you that you've found burger paradise. Consider challenging the 14 euro double double double which is the Bacon Cheese but with twice of everything. Another great choice is the Hell's burger, which is similar to the bacon cheese but with the addition of onions and jalapeno peppers. Not to be missed are the excellent oven cooked potatoes and the fine bottled beers such as the Rosso from Prato Rosso. Although there are few places to sit inside of Burbee, starting in September 2015, they now offer seating outside so you can enjoy your burger on the beautiful via Castel Morrone. Gino for mayor of Milano!